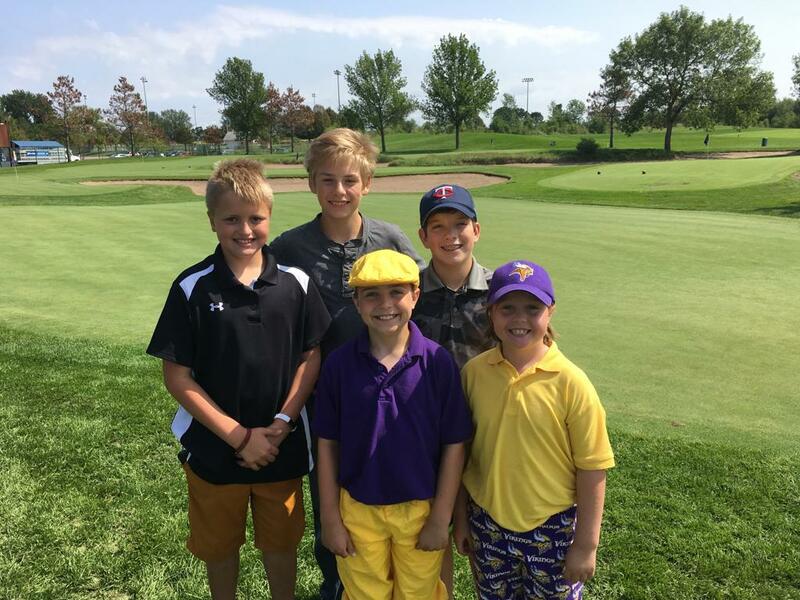 Victory Links Golf Leagues offer a great opportunity to have fun golfing and making new friends for juniors age 10-17. Scheduled junior league tee times will be from 8:00- 9:00 a.m Thursdays. Junior league players must book their tee time from week to week. You may play as many weeks or as few as you would like. Singles are paired based on grade and then by ability. Juniors may play their league rounds anytime Monday-Friday, weekends after 2 p.m. if our designated Thursday morning times do not work for you! Click here to register for junior league online! Thursdays June 13, 20, 27 July 11 (This date, Thursday morning will be unavailable. Play anytime during the week for your junior league round), 18, 25 August 1, 8, 15, 22. No play July 6. The final date of August 22 will have a 10:30am shotgun start with a pizza party after play. You must sign-up for the pizza party! Individual 9-hole stroke play rotating between the front nine and back nine on a monthly basis. League is designed for fun and exercise so we will not be awarding prizes based on score. Chance to win random draw gift certificate(s) each week, chosen from juniors who play. Thursdays from 8am-9am is our organized junior league time, but you may play anytime Monday thru Friday, Saturdays and Sundays after 2 p.m. and participate in league! Just turn in your scorecard prior the end of the day Thursday of each week to be eligible for prizes! For example, Thursday June 14th is our first organized play date. You may play between June 8th and the 14th, turn in your scorecard, and you will be eligible for that week’s prizes! We may have an event one of our weeks and our 8am-9am time may not be available. This format would also apply for Thursdays we are unable to play. $10 annual summer league fee per person (includes in-house handicap). Green fees are $10 per week and pull carts are free. Annual league fee will go toward weekly drawings throughout the summer and related costs. Best deal! Buy a season pass: age 6-18 $250. For this amount, play as much as you want for the entire golf season! You can purchase your season pass HERE! If you do not get over the water on #4 or #10, drop on the green tees and take a one stroke penalty. From time to time special events may prevent league play on certain days during the summer. Guests are always welcome to play with you during league day. This assumes there is room in your tee time. They would simply pay the regular 9-hole rate of $14. They are not eligible to win prizes. Players will be supervised during their league rounds at Victory Links. Rides from green to tee may be provided from time to time to help speed up play. Safety is our number one concern.